As Israeli students are finishing their final exams, Palestinian students in the occupied territories don’t know whether their institutions will be opening for the coming academic year or if their lecturers will continue to teach, as dozens of lecturers with European and American citizenship are being expelled. In addition, the foreign spouses of these lecturers are being asked to sign declarations that they do not intend to work. To assure that they keep this promise, they are asked to pay guarantees of between 20,000 shekels and 80,000 shekels (about $5,500 to $22,000), which will be forfeited if it is discovered that they’d been working despite the ban. We are not talking about universities in Gaza, where both the lecturers and students are under siege and cannot leave at all, and foreign lecturers cannot enter, but universities in the West Bank. This year, at Hebrew University in Jerusalem, I had the privilege of teaching both Israeli and Palestinian students, as well as students from Peru, Kenya, Cyprus, Canada and Greece. During this academic year, as every year, there were international conferences held at the university attended by foreign researchers. By contrast, dozens of students and lecturers from abroad who want to study or teach at Palestinian universities are being arrested at the border and expelled. Laura Wick and her husband, Prof. Roger Hickok, are among those who are being forced to leave after 35 years of teaching and research at Birzeit University, because their visas have not been extended. Wick specializes in pediatric medical research and Hickok is a professor of European history, one of the founders of the university’s Institute of International Studies. In a public letter that was circulated on international academic networks, Hickok described how he and his wife had become “illegal” residents. It happened when they returned from a home visit to the United States. At Ben-Gurion Airport they were given a tourist visa for two weeks, and told they would have to ask the military authorities to extend it. The description of their Kafkaesque efforts to enter the military camp in Beit El to deal with their visas, and of the phone calls and faxes that weren’t answered for months, is sad and depressing. The presence of international researchers for lengthy periods is an international criterion for ranking institutions of higher education. Without such a presence, the university suffers from what’s referred to as “ghettoization of knowledge.” What’s more, a significant number of the lecturers being expelled are Palestinians who studied in the United States and Europe; some were born in the occupied territories and went to study abroad. While Israel makes great efforts and invests millions to bring back Israeli academics who are teaching abroad, it makes life very difficult for Palestinian lecturers who studied and taught abroad, allowing them to teach in Palestinian universities for five years at most. The expulsion of Palestinian lecturers, which prevents them from getting tenure and developing an academic career in the territories will only lead to the slow destruction of Palestinian universities. 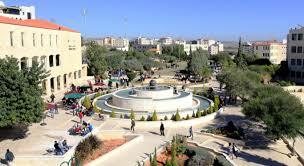 At Birzeit University, all students are required to study European philosophy and history.. 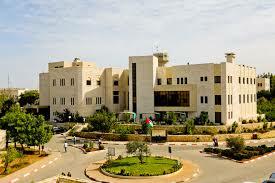 It was also the first university in the Middle East to establish a women’s studies program. However, the male and female students – women account for more than half of the student body – have almost no option to study abroad, and the lecturers who teach English, European or American history, cultural studies and foreign literature, are being expelled. During the first intifada, the Israeli army closed the universities for years, and closed schools and kindergartens for many months, creating the so-called “lost generation.” This is the generation whose education suffered a serious setback and from which the lecturers of today could have sprung. Does Israel want to create more lost generations of Palestinians who won’t get higher education and are not exposed to foreign ideas and knowledge? Does the destruction of higher education in the territories benefit Israel? 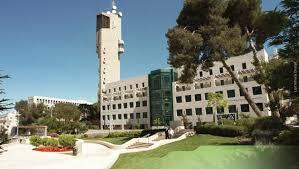 Will Israel’s bureaucratic violence lead to similar restrictions being imposed on Israeli students and academics? Prof. Golan teaches in the Hebrew University Law Faculty. Her book “Hope on the Campus Margins – Israeli and Palestinian Students in Jerusalem,” was recently published by Resling. Israel has always defined itself as the State of the Jewish People, and its recent adoption of the Jewish Nation State Law is simply a declaration to the world of its historic commitment, ideologically and programmatically, to Jewish supremacy. Many critics of Israel’s 51-year-old occupation of Palestinian East Jerusalem, the West Bank, Gaza, and the Syrian Golan Heights have referred to Israel’s occupation of these territories as a system of apartheid. However, some among these critics, such as President Jimmy Carter, rejected the use of the same term to describe Israel’s relationship to the roughly 20 percent Palestinian Arab minorities who hold Israeli citizenship within Israel’s 1948/49 border. After the passage of the new Israeli law, such critics ought to open their eyes to the historical reality of Israel since its establishment in 1948, and recognize the deep racism that underlies its state and society. The expropriation of Palestinian land and the ethnic cleansing of Palestinians in the early years of Israel’s existence were traumatic. Israel’s Absentees’ Property Law (1950) and Land Acquisition Law (1953), among others, resulted in the pauperization and ghettoization of Palestinian citizens of Israel. More than 60 laws directly and indirectly ensured that they remain far behind Israeli Jews in every aspect of their existence including their access to the legal system, citizenship privileges, income and employment, distribution of resources and social welfare, accessibility to land, educational resources, availability of health resources, and political participation. The Israeli occupation in 1967 of East Jerusalem, the West Bank, Gaza, and the Golan Heights, and the extreme form of apartheid practiced there are an extension of the settler-colonial praxis that created Israel. What is new is that Israel now feels emboldened by the ascendancy of right-wing racism, xenophobia, and Islamophobia in the United States in particular, and western societies in general. It no longer feels that it has to conceal its own racism. The recent love fest of right-wing extremists in the annual conference of Christians United for Israel in Washington, DC is emblematic of the convergence of Zionism with anti-democratic forces in the West. Thankfully, others in the West are speaking out more forcefully against racism and discrimination in all its forms. And the movement of solidarity with the Palestinians is growing worldwide, including in the United States and Europe. We call on all people of conscience to condemn Israeli apartheid unapologetically and to heed the call for boycott, divestment, and sanctions in solidarity with the Palestinian non-violent struggle for justice, peace, and freedom. In particular, as a faith-based group, we call on other people of faith, including our evangelical brothers and sisters, to challenge Israel’s intensifying apartheid. For Christian groups to remain silent about the implications of Israel’s Jewish Nation State Law and all other Israeli human rights violations stands in contradiction to the Biblical mandate to do justice and to stand with the oppressed. Palestinian Christian Alliance for Peace proudly endorses the nomination of the global BDS movement for a Nobel Peace Prize by Norwegian Parliamentarian Bjornar Moxnes. The Boycott, Divestment, and Sanctions movement was inspired by the civil rights movement in the United States and the South African anti-apartheid movement, among others, which adhere to the principle of nonviolent resistance in seeking justice and freedom. Led by Palestinians, the BDS movement seeks to end international backing of Israel’s oppressive occupation in Palestine. BDS supports the Palestinians’ right of return and the equal rights of Palestinian citizens of Israel. A focus of the movement is to pressure Israel to comply with international law. Since its inception in 2005 in occupied Palestine, the BDS movement has grown to become a global movement supported by citizens in many countries as well as many civic organizations, labor unions, churches, and prominent politicians, academics, artists, scientists, and musicians. Awarding the Nobel Peace Prize to the BDS movement will further encourage peaceful resistance and offer international solidarity with Palestinians and their just cause for freedom and self determination.